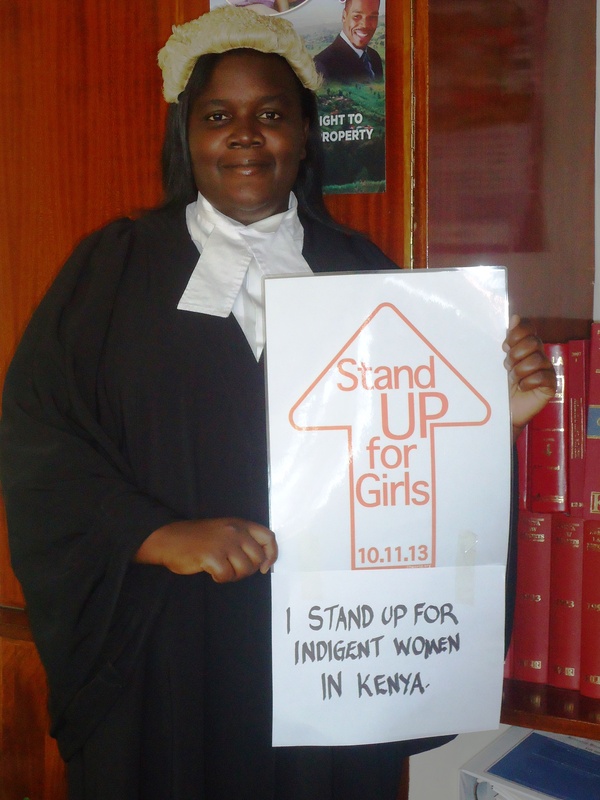 LitWorld's Regional Coordinator in Kisumu, Kenya, Phoebe Bosse, is rallying the entire community to stand up for girls on October 11th. She is travelling around the county to enroll women occupying a variety of professions in the movement for educational rights, and is sharing their stories with the girls of the LitClubs that run in partnership with the Millennium Cities Initiative. Rally your community to stand up for every girls right to tell her stories and to self-directed future. Older PostWhose Story Will You Stand Up For on 10.11.13?